The UFV Student Union Society is dedicated to providing support for students. 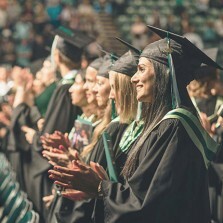 One example of this commitment is the UFV Student Union Society Premiere Entrance Scholarship, established by SUS in 2014 for a period of 10 years, with a total commitment of $340,000. This scholarship is valued at $10,000 annually — $6,000 towards tuition in the first semester and $4,000 tuition in the second semester (subject to successful completion of the first semester) and is renewable for up to three additional years to a maximum of $40,000. The recipients of this award are highly motivated in their studies as well as in their volunteer commitments — making a positive impact at UFV and in the greater community of the Fraser Valley. Sahil Chawla, who received the scholarship in 2014, says it was an honour to be the first recipient of the award. “I cannot thank SUS enough. I am reminded that this is just the beginning and a reminder of what is yet to come.” Sahil volunteers with Circle K, Student Life, and in the community with the Abbotsford Hospital, youth bhangra, and karate. SUS award winners and volunteers celebrated the inaugural SUS Student Awards and Volunteer Recognition Night on March 30, 2016, by honouring dozens of students. Student Union Society President Thomas Davies announced three new named awards in honour of two individual UFV alumni: Kelly Chahal and Terry-Lynn Stone, and former UFV Chancellor Brian Minter. Canadian gardening icon and Fraser Valley community leader Dr. Brian Minter was UFV’s first Chancellor and served two three-year terms. A recipient of the Order of Canada, the Spirit of Enterprise award, and the BC Small Business Excellence award, and Chilliwack Council named Brian as the fourth recipient of the Order of Chilliwack medal, an award to recognize citizens for outstanding achievement or long term contribution to our community. Dr. Minter is a horticulturist and entrepreneur. He is well known from his magazine and syndicated newspaper columns, TV and radio programs and his best-selling gardening book. 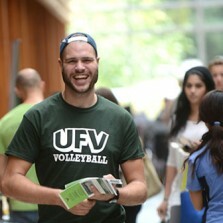 Minter has a strong connection to the University of the Fraser Valley. In addition to serving as UFV’s first Chancellor from 2008 to 2014, he taught night school courses in horticulture in the 1980s and was chair of the Board of Governors when Fraser Valley College was transformed into a degree-granting university college in 1991. He is also a donor to UFV. 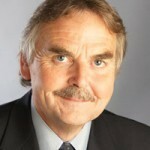 Minter was granted an honorary Doctorate of Technology degree from UFV (then UCFV) in 2001. As Chancellor, Minter served as the ceremonial head of the university. He presided over convocation. He also acted as an ambassador for UFV and was called upon to represent the institution at major events both on and off campus. The role of Chancellor is a voluntary one, and was created at UFV when it changed from university-college to university status in 2008. Upon the recommendation of the UFV Alumni Association, and after consultation with the Senate, the Chancellor is appointed by the UFV Board of Governors. “There is no greater advocate for the university than Brian. The Board is delighted to have him continue as UFV’s Chancellor,” noted UFV Larry Stinson, who was Board Chair at the time of Dr. Minter’s appointment. Minter said he has particularly enjoyed the opportunities he has had to interact with students and the public at events such as the federal all candidates meeting last spring, which he moderated. Kelly Chahal, a 2015 UFV Top 40 Alumni, earned three credentials at UFV. Kelly is a community advocate for the past 20 years, being involved in many social justice projects, volunteering with the Fraser Valley Indo Canadian Business Association, was a two term member of Senate with the University of the Fraser Valley, a Director on the UFV Alumni Board for several years, and Advisory Board member for the Centre for Indo-Canadian Studies. 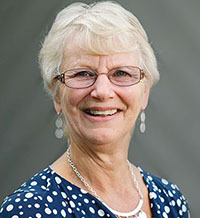 Much of her volunteer work has been focused on UFV over the decades. “I don’t think there has been a year when I wasn’t involved with UFV somehow, whether as a student or a volunteer,” she recalls. She has been a member of the Alumni Association board, a director of the Friends of UFV group that lobbied for university status, a director of the Centre for Indo-Canadian Studies advisory committee, and a member of the UFV Senate. 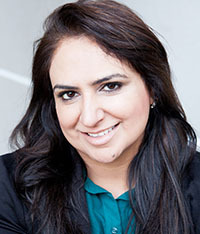 In the Abbotsford community, she has, among other things, worked with an Indo-Canadian youth group facilitated by the Abbotsford Community Services and been a president and director of the Indo-Canadian Business Association. Her passion for social justice has kept her active in many areas of the community. She keeps her research skills fresh by working on research projects related to cross-cultural issue in the South Asian community through the South Asian Interactive Society. UCFV had been developing degree-level programming since 1991, and started to push for university status in the early 2000s. 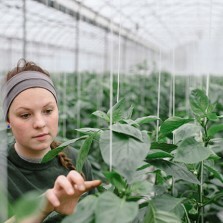 It took until 2008 to achieve, and the Friends of UFV group, founded in 2005, was a key to the eventual success. They helped draw 700 people to a rally at the Ramada Inn during the provincial government’s 2020 Vision review process, providing evidence of strong community support for the university concept. Kelly has developed and facilitated diversity training for various employment sectors and educational institutions in her quest to promote intercultural relations and is a proponent of interfaith dialogue. Her experience and service have resulted in service awards and acclamations. Kelly has her Master’s in Criminal Justice and works for the Ministry of Justice. Having raised her son and daughter in Abbotsford, she is honored to serve her community. That’s how Terry-Lynn Stone summarizes the effect that her time at UFV (then UCFV) had on her. 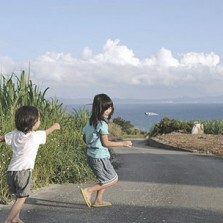 She was a stay-at-home mother with four children with 20-year-old credentials when family circumstances influenced her to seek a return to the workforce. She planned to start with childcare courses, and came home in tears after attending an information session about a childcare program offered by another university. She sought the help of UCFV educational advisor Mandy Klepic. She continued her childcare studies at what was then UCFV, and took English 105 as part of the program. Eventually she became editor-in-chief of alive magazine and editorial director of Teldon Media. All along, Terry-Lynn felt the need to give back to the institution that had given so much to her. She was the first elected student representative on the UCFV Board of Governors in the 1990s. Now she is back for a second stint as an appointed member, commuting from Kamloops for meetings. She also worked on a project researching the viability of teacher training at UFV, and was founding chair of the UCFV Alumni Association (before it was a registered society). Terry-Lynn is now the executive director of the Kamloops Brain Injury Association. She is active in her community and has volunteered for several nonprofit organizations including the Canadian Cancer Society, the Editors’ Association of Canada, the Canadian 4-H, and the United Way. She is a Rotarian and a member of the Stephen Lewis Foundation’s Grandmother to Grandmother group. During her time as a UCFV student she was awarded the Governor General’s silver medal and the Outstanding Arts Student award. She won the Distinguished Alumni award in 2005.